What can our cells tell us about the importance of love? Dr. Bruce Lipton sat down with Dr. Deborah Sandella to reveal how cells hold profound secrets of the heart. The biology of love. What do your cells have to do with love? Molecular biology and romance seem unlikely bedfellows, but according to Dr. Bruce Lipton, a stem cell biologist, bestselling author of The Biology of Belief and recipient of the 2009 Goi Peace Award, it’s quite an affair. He calls it the “Honeymoon Effect.” The biology of love. Almost everyone can remember a time when they were “head-over-heels in love.” During this juicy time of life, points out Lipton, our perception of the world expands and our eyes twinkle with delight. Our affection isn’t limited to our selected partner; rather we are in love with life itself and it shows. We take risks to experiment with new foods, activities and clothes. We listen more, share more and take more time for pleasure. Lipton chuckles about how what seems hostile the day before becomes heaven on earth when we’re in love. We don’t even notice the aggressive drivers that irritated the heck out of us yesterday; today, we’re lost in daydreams and love songs. Our affection isn’t limited to our partner; rather we are in love with life itself and it shows. Amazing as it may sound, each and every one of our cells behaves like a miniature human, says Lipton. Inside you, fifty trillion minute human-like cells work together. Cells side-by-side helping each other accomplish pumping your heart, breathing your lungs and all the millions of tasks that need to happen. When we feel “in love,” our cells have the vibration of love too! Sounds pretty good! It all begins with life, which is defined by movement according to Lipton. Proteins, the primal elements of life easily wrap themselves into organic wire sculptures and move in response to environmental signals. On the surface of each cell, receptor proteins receive environmental signals while the effector proteins transform into vibrations and transmit them to the brain where they are interpreted. It doesn’t take much imagination to picture the difference between how these protein sculptures move when they are “head-over-heels in love” versus when they are irritated. We’ve been there! In the eighties, when Lipton discovered that the cell membrane is its brain, his breakthrough research suggested that environmental signals, whether of love or another emotion, are primary in creating illness. He presaged one of today’s most important fields of study, the science of epigenetic, which explores how cellular chemical reactions switch genes on and off. The biology of love. Research in this area has found that stress, diet, behavior, toxins and other factors activate chemical switches that regulate gene expression. Lipton clarifies that this new area of study reveals that environmental influences are more prominent in causing illness than genes. He says new cancer research suggests that genetic factors influence the occurrence of illness a mere 10% of the time. In other words, the perception of our environment is responsible for our body’s health 90% of the time. When we feel “in love,” our cells have the vibration of love too! Even more interesting, Lipton reports current research demonstrates how our protein structures are more highly activated by non-physical signals than chemical signals. In other words, our environmental perceptions have a more powerful influence on our health than drugs. Thus science is telling us, we have more innate capacity to heal our ills than the pharmacy. How does it work you ask? The cell is a data “chip” by its definition, shares Lipton. Our perceptual memories and beliefs are stored in the cell membrane and constantly being transmitted to the brain for interpretation. 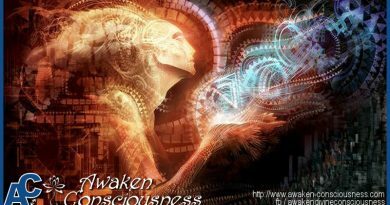 The mind responds to these vibrational messages by creating coherence between belief and reality. In other words, when your cells transmit to your mind, the mind works diligently to create the same chemical reality in your body. Thus, if you believe you will get sick, your mind will coordinate your cells to make it true. And if your cells transmit signals suggesting you are vibrant and healthy, your mind again will go about making that happen. This power of perception is demonstrated, says Lipton, in studies which found adopted children get cancer with the same propensity as their siblings who are raised in the same family, yet from different genetics. The biology of love. If you believe you will get sick, your mind will coordinate your cells to make it true. 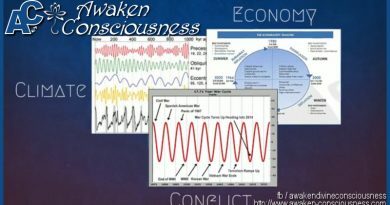 In fact, Lipton reports, “medicine has acknowledged that illness is seeded in the first six years of life when beliefs are downloaded by the family into the child’s subconscious.” During these years, children’s minds are primarily in a theta brain wave pattern, which creates a hypnagogic state of mind. This trance state explains why children easily blur the boundary between fantasy and form. 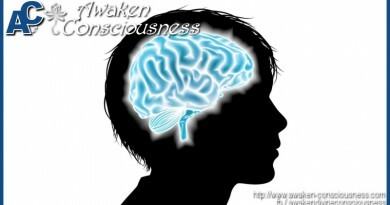 Walking around in a trance, young children absorb their parent’s beliefs into subconscious memory without question or discernment. Lipton explains how these subconscious downloads work by comparing them to an iPod. When you get a new iPod, there are no recordings, so you can’t play anything. Once you download songs to memory, you can play the downloaded songs. In fact, they are the only songs you can play. There are plenty of other choices for songs, but you can’t play them on your iPod until you download them. Similarly, whatever has been downloaded into our subconscious memory and stored in our cells is the only choice available to be heard and seen in the body. Other choices are not possible until they are downloaded as beliefs and perception into the subconscious. Thus, we automatically act out our parents’ beliefs, unless we are exposed to other beliefs or intentionally seed new beliefs. Children absorb their parent’s beliefs into subconscious memory without question. Lipton points out that the biggest problem is that people don’t believe they can change their minds and beliefs very easily. He suggests that if we teach our children in their first 6 years that they can change their minds and thus their bodies, an empowering shift to love and vitality can become easy. Not only does cellular biology have something to tell us about love in our bodies, it also is very revealing about the nature of human connection, says Lipton. It’s called Biomimicry and is a new discipline in biology that uses nature’s best ideas to solve problems. Animals, plants and microbes have found what works, and we can learn from them. They demonstrate ways of functioning that have endured over 3.8 billion years of existence. In Lipton’s latest book, Spontaneous Evolution, he and co-author Bhaerman suggest cells are smarter than we are when it comes to creating successful communities. They elucidate how cells organise themselves to have a monetary system that pays other cells according to the importance of the work they do and stores excess profits in community banks. They have a research and development system that creates technology and biochemical equivalents of expansive computer networks. Sophisticated environmental systems provide air and water purification treatment that is more technologically advanced than humans have ever imagined. Animals, plants and microbes have found what works, and we can learn from them. The same is true for heating and cooling systems. The communication system within and amongst cells is an Internet that sends zip-coded messages directly to individual cells. They even have a criminal justice system that detains, imprisons, rehabilitates, and in a Kevorkian way, assists with the suicide of destructive cells. Unlike us, cells have organized full healthcare coverage that makes sure each cell gets what it needs to stay healthy, and an immune system that protects the cells and the body like a dedicated National Guard. Lipton makes an intriguing analogy between how 50 trillion cells in the human body work together for the success of the individual is similar to how 7 billion human beings could work together for the success of the planet. He points out we haven’t been doing such nearly as good a job as cells. We are all interdependent cells within the super-organism called humanity. First, however, we must work in our own back yard urges Lipton, “We must change the evolution of our individual selves so the collective consciousness can progress.” He urges us to get our lives back by rewriting our perceptions so we can create that head-over-heels in love state-of-mind again and again and again. He encourages us to download new beliefs of empowerment and love into cellular memory, so our cells have new lovely tunes to play with lyrics that affirm our lovability. Lipton calls the quest to continuously feel “in love,” “The science of creating heaven on earth.” And science has spoken about such things, writes Lipton. 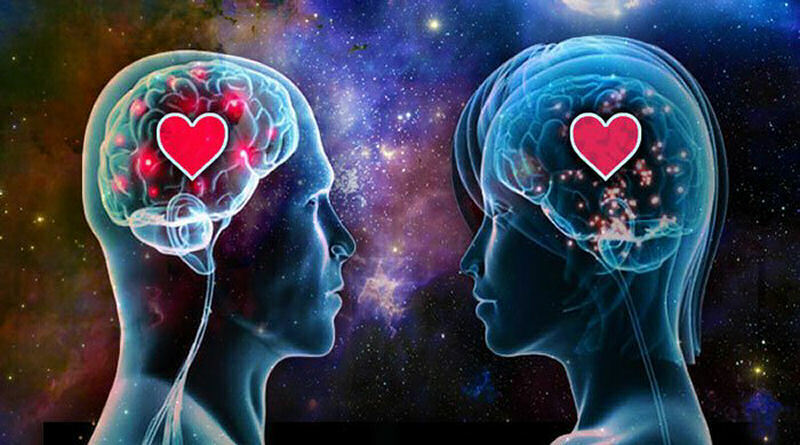 For example, HeartMath researchers have found the impact of love itself is real and biochemically measurable, “When subjects focus their attention on the heart and activate a core heart feeling, such as love, appreciation, or caring, these emotions immediately shift their heartbeat rhythms into a more coherent pattern. Increasing heartbeat coherence activates a cascade of neural and biochemical events that affect virtually every organ in the body. Studies demonstrate that heart coherence leads to more intelligence by reducing the activity of the sympathetic nervous system—our fight-or-flight mechanism—while simultaneously increasing the growth-promoting activity of the parasympathetic nervous system.” As a result, stress hormones are reduced and the anti-aging hormone DHEA is produced. Love actually does make us healthier, happier, and longer-living. It turns out molecular biology and love actually is a match made in heaven. Dr. Bruce Lipton challenges us to study and understand how to experience that heaven on earth continuously, with dancing proteins on our cells that swoon and sway with love. The biology of love.